(Summer Camp) hustles as an artist, actor, scenic designer and educator in Chicago. His paintings can be seen throughout the Chicagoland area in galleries and restaurants. Since 2001 he has scenic designed over 80 productions in Chicago. Some recent acting credits include El Grito del Bronx (Collaboraction/Teatro Vista/Goodman), Our Bad Magnet (Mary Arrchie), and The Master and Margarita (Strawdog) Jeff nomination for Best Ensemble. 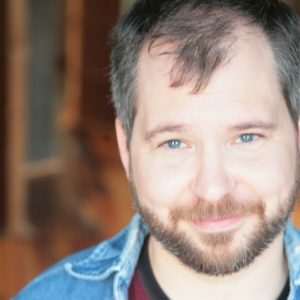 As a teaching artist, he has worked with Lifeline Theater for nearly a decade using theater to enhance lesson plans for students, he has also taught with American Theater Company, Red Kite, YAP, and Steppenwolf. He is a company member with Collaboraction, which focuses on devised pieces that incite change in his community as well as an artistic associate with WildClaw Theater and a resident artist and mentor with the youth theatre company The Yard. He is a graduate from the School at Steppenwolf (08), and was born in Longview a few years back in his beloved Texas.